Recent federal data suggests that most nursing homes had fewer workers on staff than they had self-reported to federal agencies. Recent federal data suggests that most nursing homes had fewer workers on staff than they had self-reported to federal agencies. The news confirms the suspicions of many residents of long-term care facilities and their family members and puts residents at risk. The recent data comes from an analysis by Kaiser Health News, which reviewed daily staffing reports from 14,000 nursing homes, which in the past had been unavailable but which are now being provided in accordance with requirements under the Affordable Care Act of 2010. The review indicates that many nursing homes’ ratings under the government’s five-star rating program, which is based on self-reported data, often exaggerated the level of staffing. Not only does the analysis show that the nursing home staffing numbers differ from what facilities represented to the government, but in many cases they fell below the minimum required. Medicare does not set a minimum ratio of staff to residents, but it does require that each facility have a registered nurse present at least eight hours per day, and a licensed nurse present at all times. Even facilities that Medicare has granted high ratings for staffing levels fell short on meeting these requirements. In just the last three months of 2017, one out of every four nursing homes did not have a nurse on staff for at least one day. Though Medicare has rejected pleas that it set minimum staffing ratios, federal data shows that one out of every eight facilities has been cited for inadequate staffing. Industry observers point out that when there is inadequate staff, overworked employees need to focus on immediate tasks like feeding residents, while foregoing other necessary but seemingly less pressing tasks like moving residents to prevent bedsores. Unsurprisingly, residents in short-handed nursing homes are more likely to suffer complications like bedsores, infections, malnutrition, dehydration, weight loss, and pneumonia. Under staffing has been such a big problem in some California nursing homes that residents in Cupertino are taking action. Last June, a class action lawsuit was filed on behalf of Robert Barbendel against Cupertino Healthcare & Wellness Center, alleging that the chain of over a dozen nursing and rehabilitation facilities intentionally violates laws by admitting new residents without informing them that there is inadequate staff to care for them. The complaint alleges that the nursing facilities under staff in order to net a larger profit. The Cupertino lawsuit is one approach to holding nursing homes accountable for not maintaining safe staff ratios. When residents have been harmed by neglect due to under staffing, they or their loved ones may be entitled to file a lawsuit. 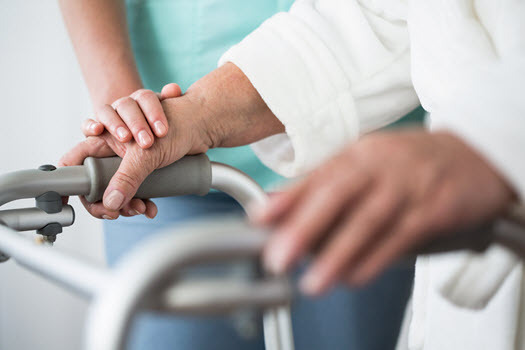 If you or a loved one have suffered injuries due to nursing home neglect in California, speak with a Los Angeles nursing home abuse lawyer at the Salamati Law Firm. If you have concerns about a loved one’s nursing home injuries, call 855-544-0776 today to schedule a free consultation. What Are the Risk Factors for Financial Elder Abuse? Financial elder abuse is a serious and growing problem in southern California. It is estimated that roughly 5% of Americans over the age of 65 suffer financial abuse from family members and that approximately 7% are financially harmed by strangers. What does financial elder abuse mean? The term covers a wide spectrum of behaviors, ranging from outright theft of a senior citizen’s cash to withholding needed care from them in order to take the money that would need — often, money that comes from the senior citizen’s Medicare or Social Security benefits. Financial elder abuse is financial harm. One type is done by either family members or trusted individuals such as friends, caretakers or healthcare providers. People close to an older person may gain control of their ATM cards, bank statements, or income, and use it for their own gain. Often, the elder person is not aware of this until it is too late. Financial advisors may inappropriately siphon off proceeds from an investment portfolio or use the funds outright. They may advise a reverse mortgage and gain title to the senior citizen’s house. They may gain control of real estate or other financial assets, sometimes by telling the senior that they will help with complicated decisions. They may sell off possessions. Another type of financial elder abuse is done by strangers. These can be telemarketing scams asking for taxes to be paid immediately over the phone. (The Internal Revenue Service also communicates taxes owed by letter, not via telephone.) They may tout a stock that doesn’t exist or ask for donations to a worthy cause. In every case, the money goes to the scammers. Fraudulent people may pose as utility or other repair people. They ring a doorbell and either ask the senior citizen to come outside and look at the problem or to pay for the repair. If the former, their valuables can be stolen. If the latter, no repair is every made. Nationwide, elder financial abuse is estimated to cost senior citizens $2.9 billion every year. Unfortunately, nearly every senior citizen may be at some risk. Many senior citizens have assets in their retirement accounts, monthly Social Security checks, and homes. Unscrupulous people know this. It is possible to pinpoint special risk factor, however. Social isolation is one. If senior citizens have few family members or trusted friends around, they may be more vulnerable to abusers approaching them. They may have fewer people to bounce concerns or financial plans off of. Unfamiliarity with their financial picture is another. People who are widowed and unaccustomed to reviewing financial accounts, for example, may be vulnerable to predatory handling and advice. Cognitive impairment is another risk. If people cannot adequately handle their financial statements, it makes them more vulnerable. Seniors who need help with the activities of daily life may also be at more risk. They need help, and many rely on relative strangers for assistance. This places them in a vulnerable position. It’s important to be aware of the signs of an elderly person being taking advantage of financially. Senior citizens who have been victims of any abuse are often ashamed and frightened to tell anyone. Financial elder abuse victims are no exception. You may not hear it from them if you are a family member or friend. Signs include health problems and mental health issues. Seniors may stop taking medication and neglect their health or fail to eat properly. They may become depressed and withdrawn, avoiding activities they formerly enjoyed. A sudden drop in income or spending power could also be a sign. Seniors may suddenly realize they no longer have money to maintain their homes or drive a car if they have been victims of financial elder abuse. Financial elder abuse is an unconscionable manipulation of vulnerable members of society. If you or a loved one have been a victim of financial elder abuse, don’t hesitate to call the Salamati Law Firm today. We are experienced Los Angeles elder abuse attorneys. We will fight to see that justice is done. Your case will be reviewed by seasoned lawyers. An initial consultation is complimentary. We charge no fees unless we win your case. If your parents or elderly relatives and friends need care in a nursing home, it’s wise to visit and research all the available options. While there are excellent nursing homes, there are also, unfortunately, poor ones, where an elderly resident’s health or safety could be impaired. The reasons for poor care range from lack of trained personnel to attempts at cost-cutting on the part of the facility. The first place to start is to research any violations. The Medicare web site, www.medicare.gov, has a searchable zip code database that will return any citations for health or safety violations. It is also a good idea to search by the name of the nursing home for any news stories, as well as checking into any state-specific databases. The good news is that nursing homes are highly regulated and inspected periodically. Health and safety violations have to be reported and corrected. If you do find a violation, assess its severity and the likelihood of its affecting your loved one. Some violations may be for too many boxes stacked in a basement. Others might concern a patient with dementia being allowed to walk outside unattended. The latter is extremely serious, and could be cause for crossing the facility off your list. Then, make an appointment to tour the facilities you have in mind. Is the nursing home clean? Are there odors or signs that it may not be? It is well-maintained? Are both general areas and rooms in a state of good repair? Lack of cleanliness and good maintenance are dangerous to elderly residents. Impaired cleanliness can cause health issues and be uncomfortable. Poor maintenance can make areas dangerous to walk or pass through. Be sure to tour both the interior and exterior. If the tour takes you only to certain areas or floors, ask if you can see the areas not covered. In a bad nursing home, the first floor common areas may be showpieces. Other floors may be in a less well maintained state. High staff turnover can be a sign that a nursing home is not well run. It may not recruit dedicated people, or pay them enough to stay. Inexperienced or constantly changing staff can negatively affect a nursing home resident’s care. Ask facility management how long their attendants and other staff stay onboard. As you tour the facility, be sure to observe the interactions between staff and residents. Staff should be friendly, respectful, and attentive. If you see interactions that criticize or demean the residents, cross the facility off your list. If residents seem afraid or child-like, it indicates that staff might be threatening or talk down to them. All are bad signs. Elder abuse in nursing homes is a distressing problem. The Salamati Law Firm has an outstanding record of fighting for justice on the part of elder abuse victims and their families in the Los Angeles area. If you need advice on an elder abuse case or a nursing home situation, please call us today. We will provide a complimentary consultation. Payment will come from any final jury award or settlement amount. Elder abuse takes many different forms, some involving physical violence, threats or intimidation, some entailing neglect or sexual abuse, and others involving financial exploitation. 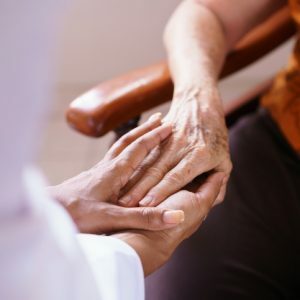 The problem of elder abuse in nursing homes and assisted living facilities is a growing one, and research indicates that many cases go unreported and unpunished. While there are literally thousands of nursing homes that provide attentive, quality care to senior residents, there are dozens of others that do not. In a recent study by the Special Investigations Division of the House Government Reform Committee, researchers found that 30 percent of U.S. nursing homes were cited for some form of abuse. The events ranged from the grotesque to the disturbing, with some victims kicked, starved or subject to repeated sexual molestation. When nursing home staff breaches its duty to provide proper care, residents can suffer irreparable physical and emotional harm. There are many red flags which may indicate that a loved one may be suffering from nursing home abuse or neglect. Knowing what to look out for can help family identify the problem, report elder abuse or neglect, and hold negligent parties accountable. Is your loved one being neglected or abused? 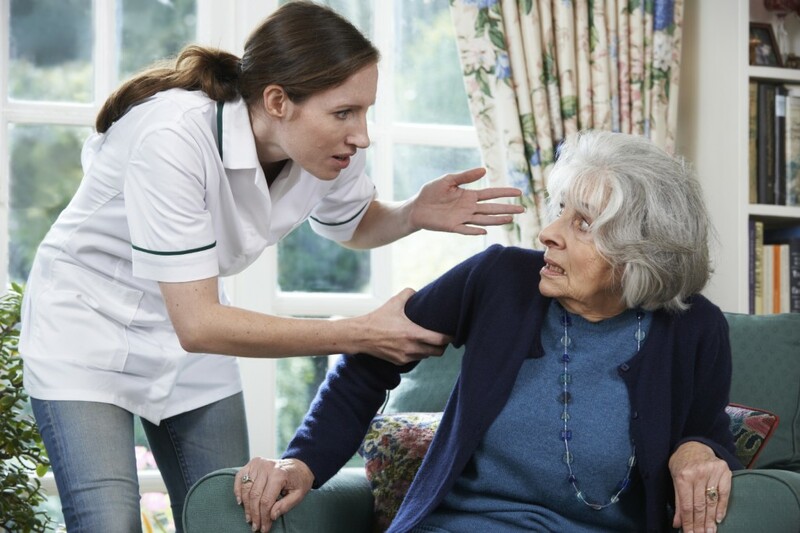 Identifying nursing home abuse or gross neglect of a loved one is often more obvious in cases where the family make routine visits and check-ups to the facility. If you do see one or several red flags, it’s important to talk to your loved one about their treatment and care in the facility. Don’t be surprised if they are reluctant to admit mistreatment or harm, as they may be frightened of future repercussions. Gather evidence: This includes taking photos, making notes of your loved one’s injuries or changing behaviors, or even getting statements from other residents or witnesses. Report your suspicions to the California Department of Health Care Services (DHCS) Office of the Ombudsman. They are responsible for investigating reports of neglect or abuse in long-term assisted care facilities. Be prepared to provide the elder’s name, full address and contact information, and detailed report about why you are concerned. For more assistance and local agency resources, you can contact the Eldercare Locator at 1-800-677-1116. 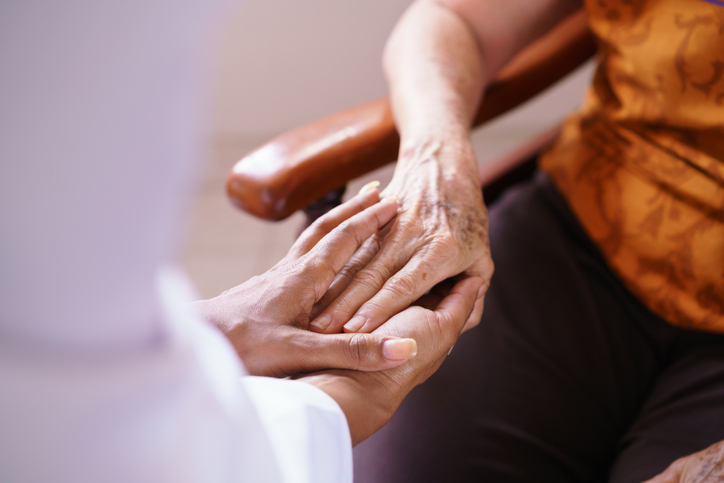 Reach out to your elder loved one’s primary care physician or patient advocate, assuming they are not involved with the suspected abuse or neglect. They can also provide professional guidance on the best course of action. 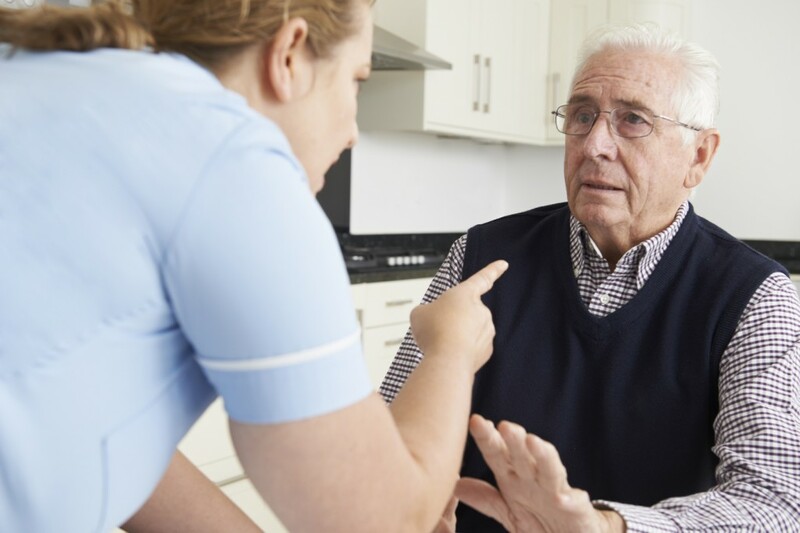 If you believe that a nursing home resident is being neglected or abused in any way, don’t hesitate in seeking the guidance of an elder abuse lawyer who can ensure that proper authorities are notified immediately. Thorough investigations can determine if legal action is warranted against nursing home workers, administration or on-call staff. If you would like more information on pursuing an elder neglect claim in California, contact the Los Angeles office of Sean Salamati for a free consult today. Instances of financial fraud against senior Americans is on the rise, with an estimated 10,565 complaints logged in 2015, according to the Federal Trade Commission. Among the most sinister is the so-called “Grandpa Scam,” in which fraudsters posing as grandchildren call elderly people, asking for emergency funds under false pretenses. Desperate to help their distraught grandchildren, dozens of seniors have been conned out of thousands of dollars before realizing the truth. Financial elder exploitation remains a huge concern as America’s senior population continues to grow. According to Consumers Digest, some 5 million cases of financial exploitation are reported in the U.S. every year. But how do these scammers get the names of family members and other private information in the first place? According to the Federal Trade Commission, social media sites like Facebook are often tapped for intimate details, and a lot of personal information can be purchased or stolen as well. Other times, fraudsters will simply try calling random phone numbers until an elderly person picks up. Considering that financial scams against the elderly are more rampant than ever, it’s important to protect yourself and your loved ones against these harms. Taking advantage of elderly citizens is an unspeakable crime, and one that should not go unpunished. If someone you love has fallen victim to the “Grandpa scam” or other types of financial exploitation, California laws provide legal recourse. Los Angeles elder abuse attorney Sean Salamati is well-versed in identifying telemarketing scams and the financial exploitation of older residents. To schedule a free and confidential case review, we invite you to call 888-259-4060. On September 28, 2016 the Centers for Medicare & Medicaid Services (CMS) finalized new rules that would serve to enhance the safety and quality care of more than 1.5 million elders residing in our nation’s long-term nursing home facilities that are funded by the Medicare and Medicaid programs. The revamp included several policies, including one that will guarantee the rights of nursing home residents and their families to sue long-term care facilities in the event of neglect, abuse or other instances that result in physical, emotional or financial injury. This new rule prohibits the use of binding arbitration clauses that have always been included in long-term facility contracts. These mandatory clauses require all disputes to go through arbitration, rather than the courts. The policy will officially go into effect on November 28 of this year, and will be implemented in more than 15,000 nursing homes and live-in facilities that are part of the Medicare and Medicaid system. Proponents of the CMS changes applaud the new policy. “Today’s rule is a small but important victory in the long battle to root out these secretive, complicated arbitration clauses that favor corporate interests over consumer rights,” stated Senator Patrick Leahy (Vermont), who had criticized arbitration clauses that stripped patients of their right to legal recourse. The revamped rule will allow victims of nursing home abuse, fraud and neglect to have their day in court, giving victims and their loved ones the opportunity to seek financial compensation while holding negligent parties accountable for their actions. For many families who have been affected by such tragedy, this procedural change will make a world of difference. According to 2009 research, monies secured through arbitration are, on average, 35 percent lower than court awards. The discrepancy may be attributed to the pre-dispute arbitration process, in which patients have few grounds for appeal. Consumer watchdog activists point out that many families, who are already under pressure to find an affordable yet trustworthy long-term facility for their loved ones, don’t always read the contractual fine print that essentially stripped them of their right to sue. The CMS changes intended to increase standards of care also touched on regulations that would improve staff training, medical care and treatment of residents, infection prevention and control and healthy dietary provisions. An estimated 10 percent of seniors over the age of 60 experience some form of elder abuse, according to national statistics. If you believe that a family member or loved one has been neglected, or physically or emotionally abused in a long-term care facility, it’s important to report your suspicions to authorities and seek legal counsel right away. The Salamati Law Firm can review the facts surrounding your case and assist families in the pursuit of justice. Civil litigation against nursing homes, their management and staff may help recoup compensation for hospital and medical bills, emotional anguish, pain and suffering, and other losses. Call us toll-free to speak with a Los Angeles elder abuse lawyer today.